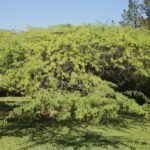 Many shrubs and trees that might have once been considered giant weeds are making a huge comeback as landscape plants, including the mesquite tree. 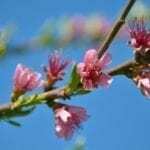 This scrubby tree can be a beautiful addition to a xeriscape or other low-water garden in areas where rainfall is scarce. Not only are they easy to care for once established, they have very few disease problems and suffer from only a few mesquite tree pests. Even so, it’s important to know what to watch for in order to give your tree the best care possible over its lifetime. Read on to learn more about bugs that eat mesquite. Sap-sucking insects. Sap-sucking insects are more of a nuisance than a serious problem of mesquite, but it’s important to know their call signs. In mesquite, mealybugs and armored scale are the most common. 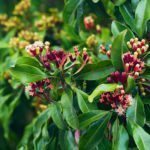 Mealybugs will be obvious, as they leave fluffy, waxy debris in their wake. This white material often collects in twig crotches, looking a little like new fallen snow. Armored scale are a bit more challenging because they can be masters of camouflage. Often, they’ll appear as a series of unusual bumps or growths on your plant, but when you cut into the growth, you’ll find it’s a plate that you can lift and a small, soft bodied insect is inside. Both can be dispatched with repeated applications of neem oil. Mesquite twig girdler. 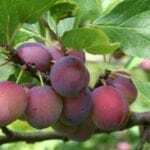 If your tree is developing patches of dead tips or branches, you may have a twig girdler. These insects cut channels near the ends of stems and deposit their eggs inside. Because their activity cuts the end of the branch or twig off from valuable water and nutrient supplies, it dies. It sounds pretty serious, but the truth is that these are minor cosmetic problems at the worst. Girdlers don’t attack healthy trees, as they’re attracted to trees in distress. So, if you’re seeing them, you need to pay closer attention to your tree’s needs. Borers. The most destructive pests of mesquite are also the hardest to detect. In fact, you may not realize you have a problem until it’s far too late to do anything about it. 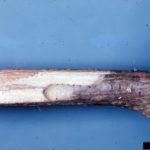 But take heart, if your tree is in good health, the chances are good that borers won’t be attracted to it in the first place. These insects bore holes deep into limbs and trunks, lay their eggs and then die. When larvae emerge, they begin to chew their way through the surrounding wood, causing stress on the tree. Foliage may become discolored or wilted, or entire branches wilt and die suddenly. There’s no effective way to control borers except to remove infected tissue and destroy it immediately. Proper care of the tree to bring it back to health may save it, but if borers are in the trunk, your best bet is to cut the tree down and begin again. Giant mesquite bugs. A common sight in desert landscapes, particularly on mesquite trees, are the colorful giant mesquite bugs. If you spot them on your mesquite tree, don’t panic. 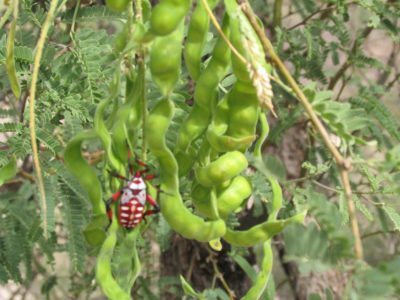 Although the adults like to feed on mesquite seed pods, while the immature bugs eat the tender parts of the plant, these insects generally do not cause any significant damage and are deemed harmless.